Zika virus (ZIKV) infection is associated with abnormal functions of neuronal cells causing neurological disorders such as microcephaly in the newborns and Guillain–Barré syndrome in the adults. Typically, healthy brain growth is associated with normal neural stem cell proliferation, differentiation, and maturation. This process requires a controlled cellular metabolism that is essential for normal migration, axonal elongation, and dendrite morphogenesis of newly generated neurons. Thus, the remarkable changes in the cellular metabolism during early stages of neuronal stem cell differentiation are crucial for brain development. Recent studies show that ZIKV directly infects neuronal stem cells in the fetus and impairs brain growth. In this review, we highlighted the fact that the activation of P53 and inhibition of the mTOR pathway by ZIKV infection to neuronal stem cells induces early shifting from glycolysis to oxidative phosphorylation (OXPHOS) may induce immature differentiation, apoptosis, and stem cell exhaustion. We hypothesize that ZIKV infection to mature myelin-producing cells and resulting metabolic shift may lead to the development of neurological diseases, such as Guillain–Barré syndrome. 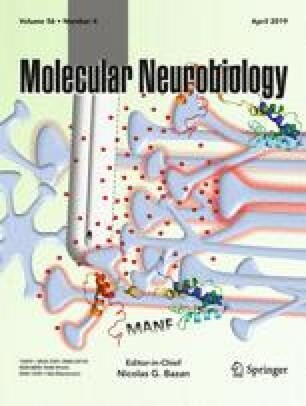 Thus, the effects of ZIKV on the cellular metabolism of neuronal cells may lead to the incidence of neurological disorders as observed recently during ZIKV infection. A correction to this article is available online at https://doi.org/10.1007/s12035-018-1337-9. We thank Robin Taylor for the editorial assistance. This work is supported in part 1U01GM117175 to SF and R01AI113883 and Nebraska Neuroscience Alliance Endowed Fund Awarded to SNB.